Jules Blais and Lab Manager Linda Kimpe along with students Madison Bell and Jennifer Kissinger will take part in this unprecedented research opportunity to study paleo-climates and paleo-archeology from the top of the world. The GreenLAnd Circumnavigation Expedition (GLACE) will be an unprecedented circumnavigation of Greenland on a single research trip. Spread over a period of two months, August and September 2019, this expedition is sponsored by the Swiss Polar Institute as well as private funders and will provide access to remote and undeveloped areas of northern Greenland to researchers. 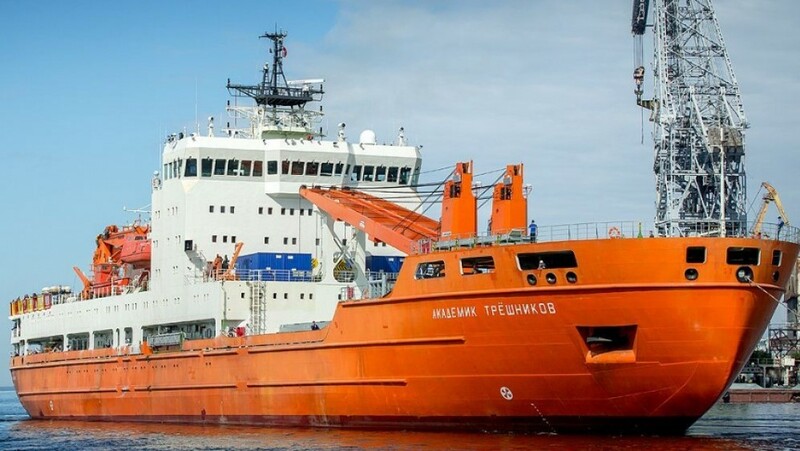 The Blais laboratory team will board the research vessel R/V Akademic Tryoshnikov (AARI, Saint Petersburg), and will be accompanied by the world's largest nuclear-powered icebreaker, the 50 Let Pobedy. The group will target two main research topics on a series of seven land-based sites only accessible by helicopter (aboard the vessel). The first will be to collect lake sediment cores adjacent to Norse, Thule, and Dorset archaeological sites to determine if it is possible to identify when humans occupied these sites based on chemical markers in sediment, which they have shown to be the case in the Canadian Arctic . For the second, it will use chemical and biological markers in lacustrine sediments to reconstruct past climates of Greenland. The latter will span from the medieval period during the milder temperatures that brought new occupants to the territory and the expansion of agriculture, through the Little Ice Age when climates cooled again, and to the present day as climates are warming rapidly, especially in the northern parts of the world.